Among greatest pleasures we can have during our vacation, reading books in inspiring locations such as Dajuma comes in the first positions. Not so fashionable compared with reading on smartphones and tablets? Not true! The idea and the pictures of this blog come from one of our guest, fond of reading. Hence, year after year our library had enriched with books left by our guests from all around the world, in all languages. 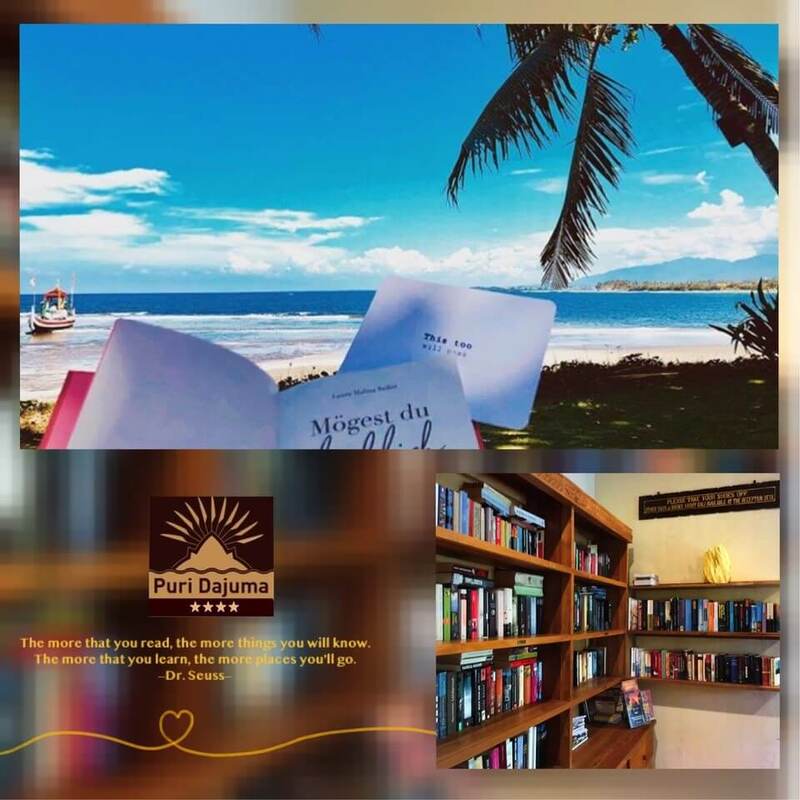 Installed in a comfortable long chair with the breeze of the ocean and the song of the birds as companions, is there a better place where to savor a good book?